We are embarking on a mission to break down the barrier of segregation in Birmingham. In 1963, the African American community in Birmingham, Alabama sought to break down the barriers of segregation. Children and teenagers picked up where the adults left off, giving the Civil Rights movement new life. The purpose of the movement, known as "Project C" for "confrontation, was to fill the jails through arrests from marches and demonstrations. The black community believed their voices would be heard if the government was overwhelmed. When the adults backed down in fear of what would happen to their families if they went to jail, the children bravely faced off against injustice. 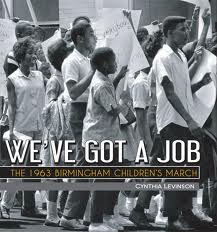 In WE'VE GOT A JOB, Cynthia Levinson retells the events around four participants: The youngest, Audrey, was only nine years old at the time of the marches, Wash, the one who had to be restrained from using violence, and James and Arnetta , teenage activists trained in nonviolent methods. These four children joined thousands of other young people at the beginning of May 1963, to stand up against inequality. The poignant courage of the young activists and the raw racial hatred of their oppressors, brings to surface feelings of awe and admiration; bewilderment and anger, for those of us born after the Civil Rights movement or too young to remember the gripping details of the era. The resulting aftermath, including the bombing of Sixteenth Street Baptist Church, and the update of the current lives of the four activists bring the historically significant events to full circle. 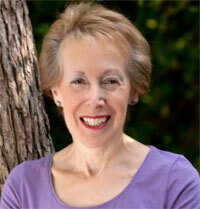 I was deeply moved by Levinson's telling of the events through interviews, research and photos. I'm embarrassed to admit I knew nothing of children's marches before reading We've Got a Job. I closed the book with a deep admiration not only for the participants of the marches, but also the author for wanting to make sure the stories were not lost on new generations. I'm giving the highest honor and recommendation, very rare on my blog, to this book, highly recommended with star, and hope that every child and teen will read it. (Nonfiction ages 11-15) I think the age should be 11 and up, as adults will be deeply touched as well. To purchase this book click on the following retailers. **Disclosure: I received the book at no charge from the publisher for review purposes only. This in no way influenced by opinion about the book. I was never asked to give a positive review nor do I accept books for review if I am asked to give any opinion that is not my own. 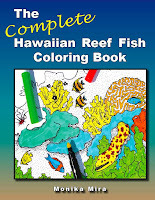 To say The Complete Hawaiian Reef Fish Coloring Book by Monika Mira is a coloring book would be an understatement. 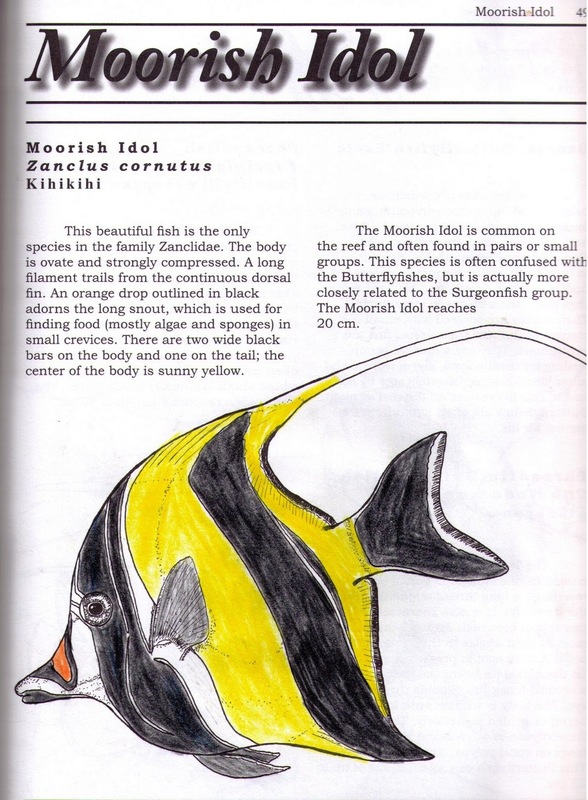 Instead, the book is a comprehensive guide to many fish that can be found around the waters of the Hawaiian islands. The introduction tells where the fish live, give a description of their scientific name, and describes and illustrates the anatomy of a fish. Monika Mira's illustrations are incredible. Her attention to detail and the amount of research that went into this book is impressive. 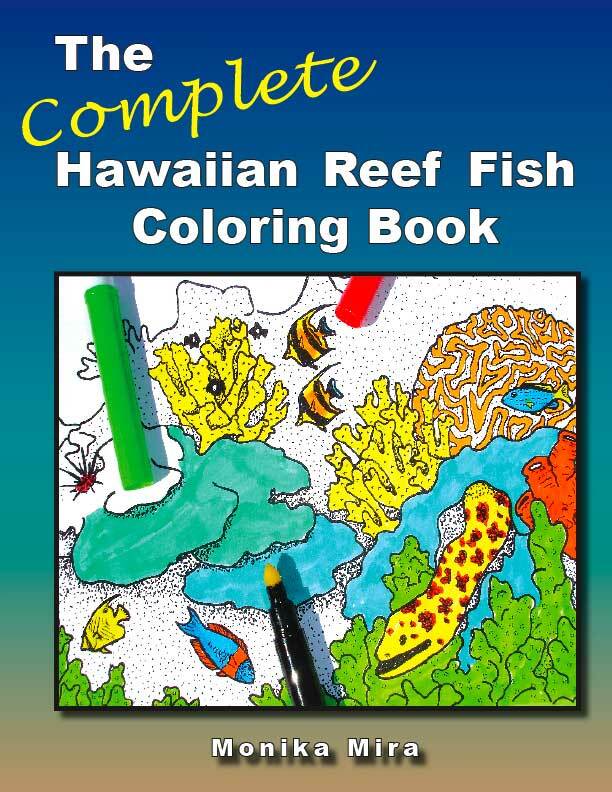 It's more than a coloring book, it is a must have educational tool for children and adults wanting to know more about the Hawaiian fish. Even I learned something I didn't know. Fish can change sexes and when they do, they change colors. If you plan on taking a family vacation to Hawaii, I would highly recommend buying this book ahead of time. It's not the type of coloring book you will want your toddler to scribble in, but the type of book all ages K-12 would learn from. In fact, it is touted as an educational tool to be used in classrooms. It is not only informative, it is fun too. The only thing I wish about the book is that I would have had it a week and a half sooner for my own scuba diving trip. Maybe I could have identified this fish, or maybe not since I wasn't in Hawaii. 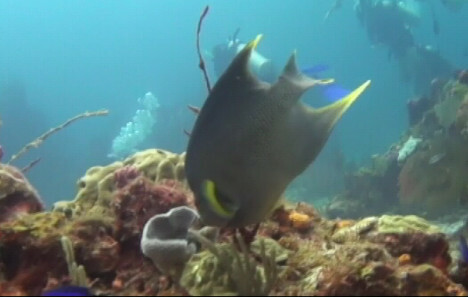 A fish from my scuba trip to Mexico. To purchase this book directly from the publisher, click HERE. You can also purchase through the following retailers. **Disclosure: I received this book at no charge from the author for review purposes. This is no way affected my opinion about this book. I do not accept material in which I am asked to leave a positive review. For centuries, rumors have swirled about a group of supernatural beings called the Terrae Angeli. Not quite mortal, but not elevated to status of celestial angels, these lowly group of angels keep mortals from danger.Their powers are limited and they possess free will, like men. Tiro Griffin knows all about the pain free will can bring when he suffers mentally under the harsh treatment of his master and trainer, Nicopolis. Three years later, Griffin is assigned a new mentor. Basil, takes Griffin under his wing as his apprentice and tries repair the damaged cause by his former master. He encourages Griffin to keep a journal and also does the same. When a new family moves in, Griffin falls for their teenage daughter, Katie. She too keeps a journal, giving insight to all three characters. 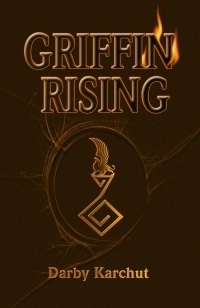 GRIFFIN RISING, by Darby Karchut, is a young adult fantasy debut novel with a rare male protagonist. I was fascinated with the back story of the Terrae Angeli and the myths associated with angels. In fact, I spent some time looking up the writings referred to by the author. The relationship between Griffin and his mentor, Basil, is heartwarming. The sweet romance that develops between Griffin and Katie flows naturally and her parents strengthen the relationship between them. Though the book has a male protagonist, I think it would appeal more to teenage girls. Good for boys who like paranormal mixed with romance, but it feels like there is more romance than action. For ages 13 and up. Griffin Rising by Darby Karchut can be purchased from the following retailers. **Disclosure: I received the book at no charge from the author for review purposes. This in no way affected my opinion of the book. No monetary compensation was received in exchange for this review. Contest Details. Use the Rafflecopter form to enter. Contest ends 1/30/2012 at 10:01 MST. 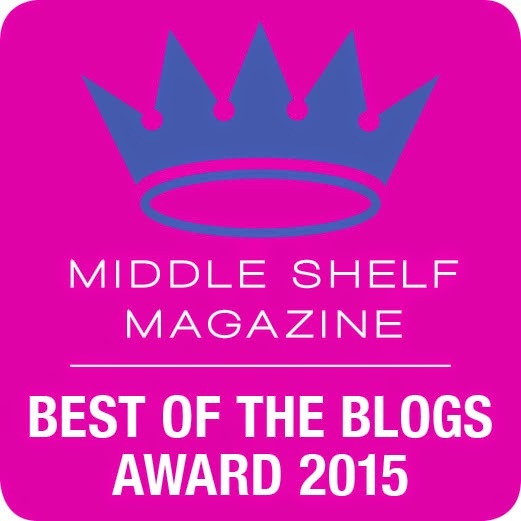 Winner will receive a paperback copy of Griffen Rising by Darby Karchut.